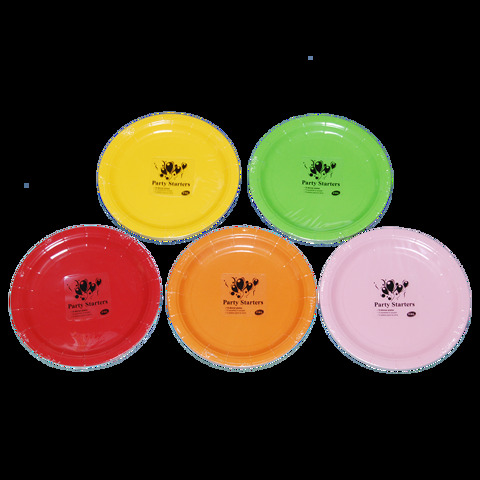 Paper Plates Col. 23Cm 15Pk. 23cm Diameter. Red | Pink | Blue | Purple. 300gsm White Paper Card . 200G Packaging: Shrink Wrap with Label.